An easy, super quick, and fun Star Wars Chocolate Banana Pancake Spaceship made from pancakes, bananas, and chocolate, which makes an awesome snack… and a creative outer space party tutorial. Are Star Wars fan? I have great news for you! We are sharing an easy, super quick, and fun Star Wars Chocolate Banana Pancake Spaceship recipe inspired by Eggo Star Wars pancakes, as well as a creative party tutorial. Well, get on board and follow along! Our Star Wars Chocolate Banana Pancake Spaceship drew inspiration from one of the the Star Wars Den of Geek and is ridiculously easy to put together. Basically all we have to do is to toast and stack 3 Kellogg’s® Eggo® Star Wars Galaxy Adventure Buttermilk Pancakes, cut a banana into rounds and arrange them in between each pancake except the top one. 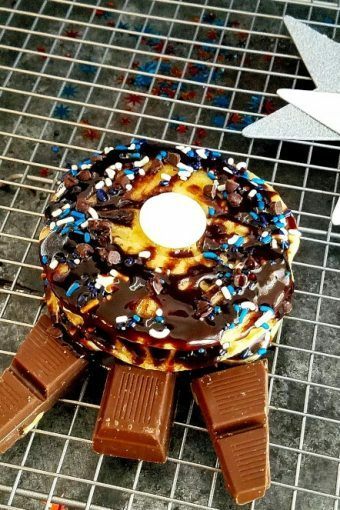 Then, drizzle with either melted chocolate chips or a chocolate syrup of your choice, decorate with a bit of colorful sprinkles on top, and arrange pieces of chocolate bar to complete the spaceship. Something easy enough for even a kid to make. I bet your kids would love to assemble this with you — I can already picture the smiles on your faces! And you know what? All the ingredients are conveniently available at a Walmart near you! Plus, here’s some delicious news! Eggo waffles and pancakes now have no artificial flavors, and get their colors from natural sources. 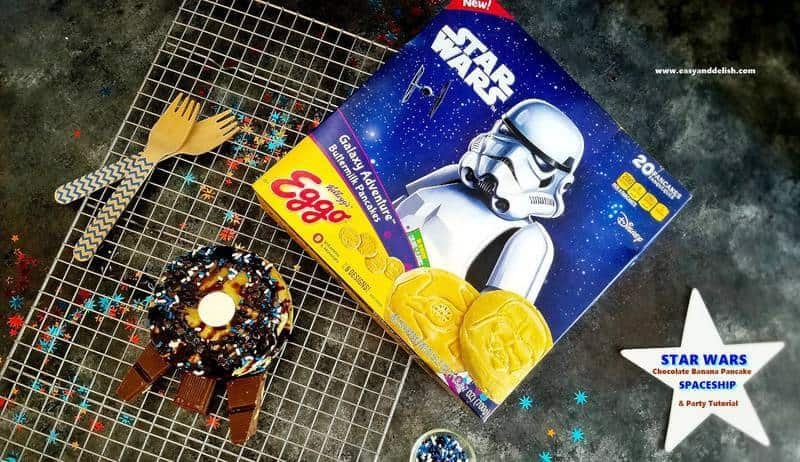 Click on the badge below to get a discount on the purchase of your Kellogg’s® Eggo® Star Wars Galaxy Adventure Buttermilk Pancakes. My kids were thrilled to help me prepare a winter break party and quick food dishes… all while spending time together during the holiday break. We had lots of fun making simple yet delicious dishes, creating a space-themed party. You can do that too! How? Table: We covered a table with a disposable black tablecloth and taped white star cutouts on it. Colorful star confetti and silver star cutouts were arranged on top of the table (and a couple on the wall) to make things more festive. Cheap colorful glow sticks were placed on the table to simulate light sabers. Wall: A jumbo grey paper lantern, left flat to resemble a planet, was hung with silver ribbon on the wall. Last, black, golden, and silver balloons with stars were hung up on the wall, decorating the sides of the table. Easy peasy! We served mostly no-cook dishes as follows: Fruit Kabobs (wood kabob skewers with grapes, strawberries, and blackberries), Guacamole & Chips (mashed avocados mixed with fresh lime juice, salt, pepper, and chopped onions, tomato and cilantro, served with store-bought chips), Ham and Cheese Pinwheels (large tortillas filled with a smear of light mayo, lettuce, deli ham and cheese, wrapped like a burrito and sliced), Pancake Pops ( Kellogg’s® Eggo® Star Wars Galaxy Adventure Buttermilk Pancakes toasted and inserted on a wood kabob skewer, traced with black cookie icing and decorated with black trim), Cheese Detonators (store-bought puffy cheese balls), Flavored Water (store-bought sparkling flavored water with mint leaves and orange slices), and Blackberry Lemonade (lemonade blended with frozen blackberries).
. And of course, our Star Wars Chocolate Banana Pancake Spaceship!!! 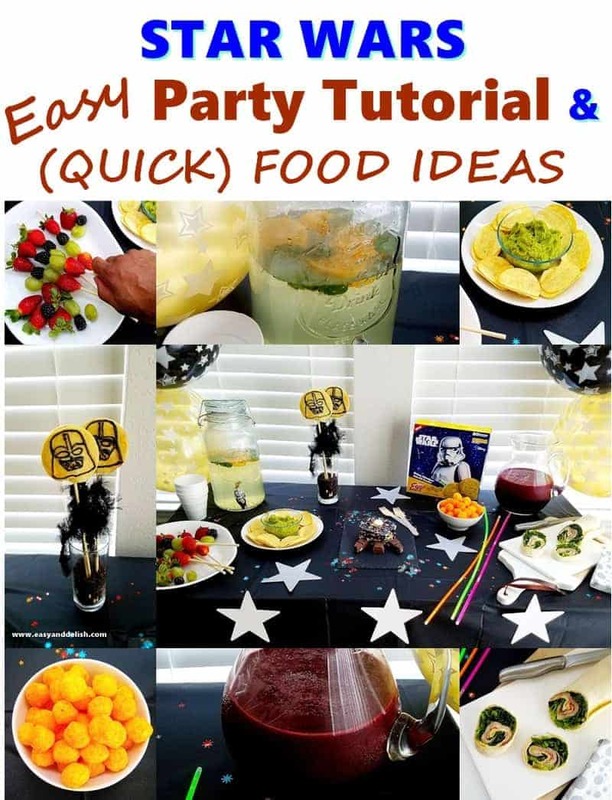 All party decor and food dishes were affordable and quite simple to put together. These make great ideas for birthday parties, Star Wars fan get-togethers, kids’ winter break celebrations, and other festive events! There is always an occasion to celebrate and have fun, right? You can find more inspiration and delicious ideas like ours at Eggo®website . I would also love to hear your own ideas for your next outer space-themed party. Have fun! An easy, quick, and fun Star Wars Chocolate Banana Pancake Spaceship made from pancakes, banana, and chocolate, which makes an awesome snack... and a creative outer space party tutorial. Start by toasting 3 Kellogg's® Eggo® Star Wars Galaxy Adventure Buttermilk Pancakes and stacking one on the top of other. Then, arrange the banana rounds in between them all, except the top one. 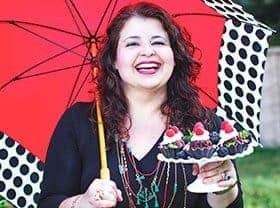 Drizzle with either chocolate syrup or melted chocolate chips, sprinkle a bit of the colorful sprinkles on top, and garnish center with the white chocolate melt if desired. Last, insert a single square of chocolate bar in the middle on one side of the stack of pancakes (as seen in the picture). Then, shape 2 double squares of chocolate bar with your knife (see picture) and insert one on each side of the single square. These are to resemble a spaceship. Enjoy! Hi, Adina! This spaceship recipe was inspired in the Den of Geek spaceship. As a fan, I bet your son would love to try it! It is pretty easy and quick to make and so delish. Great to celebrate the release of the new movie in December. What a fun dish! 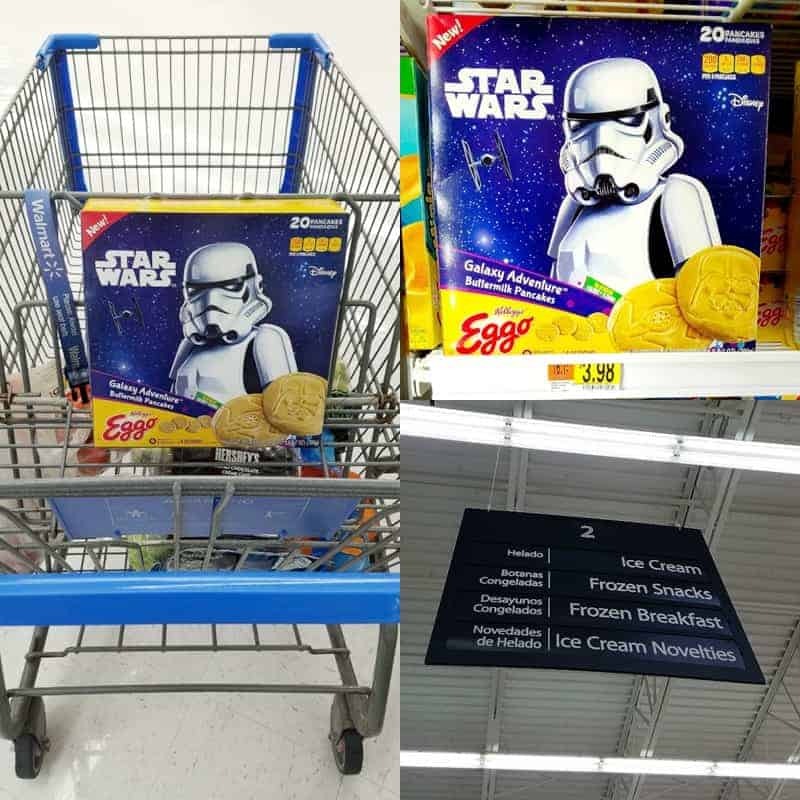 Didn’t know there were Star Wars Eggos, but now that I know, I gotta have them. In this dish, of course. 🙂 Thanks! They are delicious. I hope you can try our spaceship recipe. So good! OMG…Eggo has a Star Wars pancakes???? A perfect treat for all the Star Wars fans! I imagine this would be a big hit on Christmas morning.